After weeks of planning and collaborating, the employees of Cammisa + Wipf teed off at their very first In-Office Mini Golf Tournament. 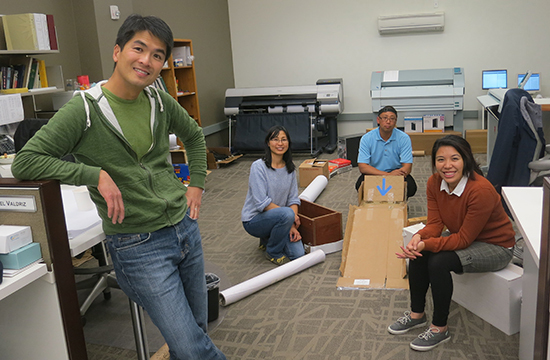 Principals, engineers, designers and support staff teamed up to design and construct their very own nine hole mini-golf course throughout their fourth floor suite, using whatever materials they could find: binders, old specs, drawing tubes, a lot of card board, etc. You name it, they used it. 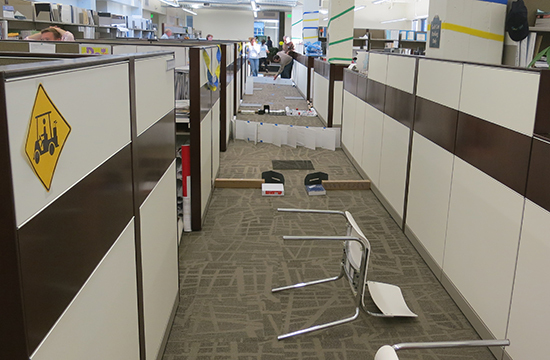 Before the final construction of the holes took place, the employees were able to grab a bite to eat from the various principal inspired food stations set up throughout the office and given an official course map for when it was time to play. Once fully fueled, cooperation and focus were vital to the teams as they had just two and a half hours for final construction and installation of their golf holes before tee time. 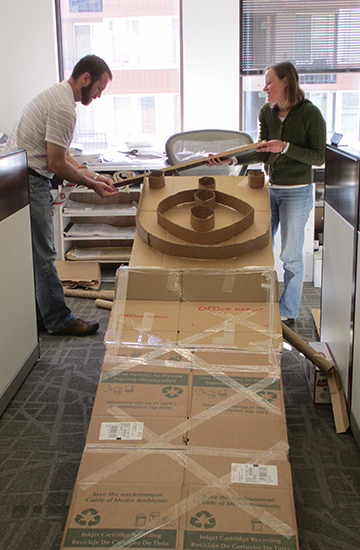 Using the resources available, Cammisa + Wipf employees were able to create imaginative and unique golf holes that challenged even experienced golfers. Design elements included ramps, tunnels, bridges, various obstructions and even a water hazard. 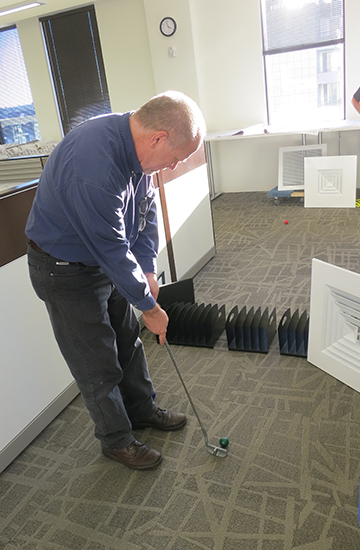 Once the holes were constructed, the entire office enjoyed an afternoon of golf followed by an award ceremony. Awards presented included best overall individual score, best hole design, best golf attire and the bonus hole in one. Overall, employees had a blast as their fourth floor suite transformed into their very own country club. What could possibly be better than mingling with colleagues and playing a friendly game of mini golf on a Friday afternoon? Cammisa + Wipf employees were able to create imaginative and unique golf holes that challenged even experienced golfers.